The Continental Cross Contact has many attributes which lead to added performance. 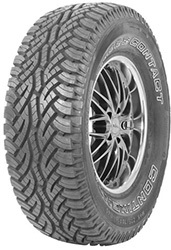 Predominantly designed for road use the tyre is capable of light off road use. The Cross contact also has excellent breaking distance giving it a great all round performance.